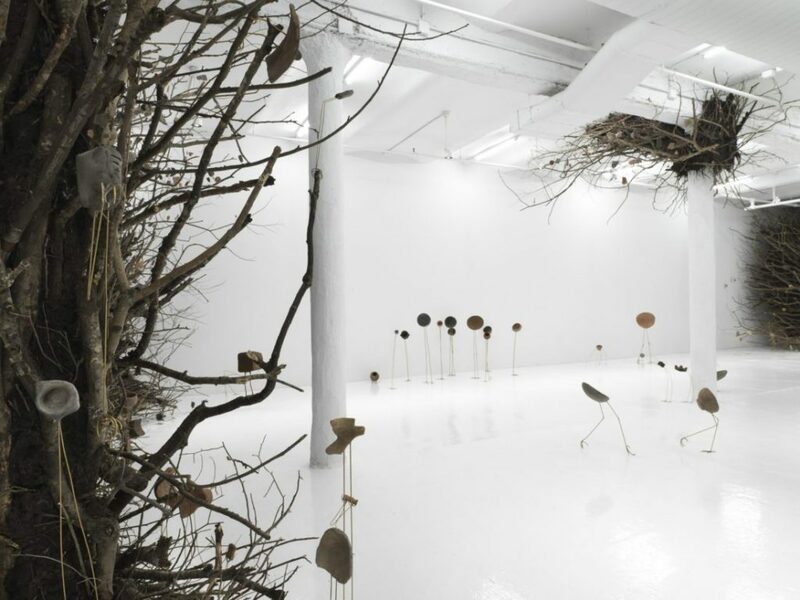 Adelita Husni Bey’s solo exhibition Chiron opened on January 22nd. 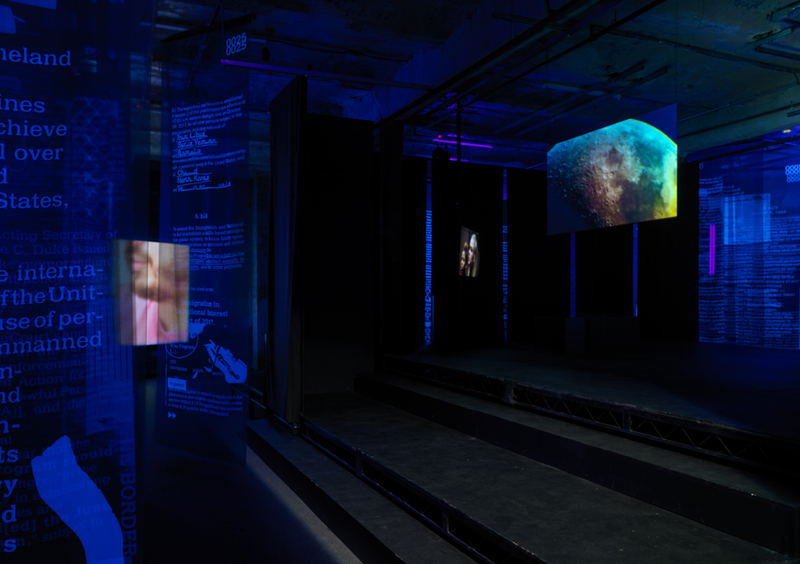 As part of our consultancy work for Kvadrat’s institutional collaborations program, we have supported the artist in the development of 26 textile banners that form part of the large-scale installation Chiron – together with a film made from the recordings of experimental workshops held by the artist with members of UnLocal, a non-profit law firm that provides free legal representation to undocumented immigrants in New York City. 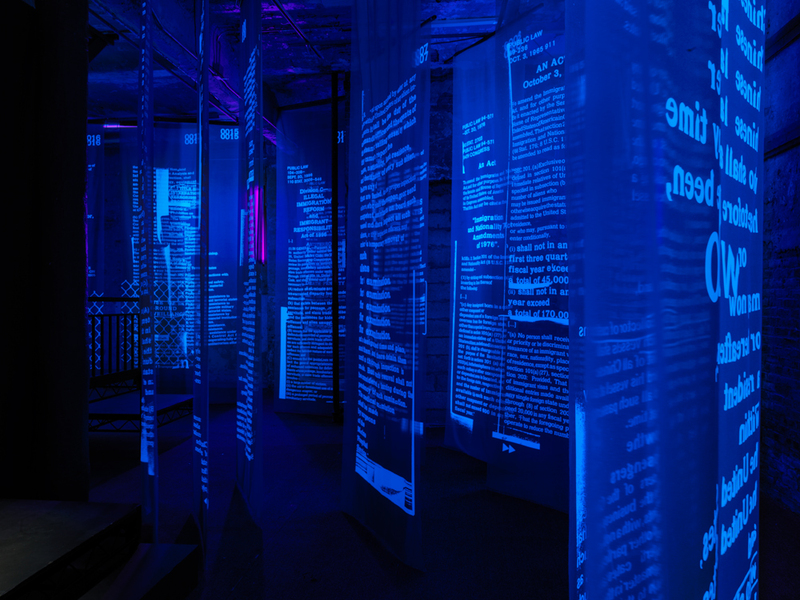 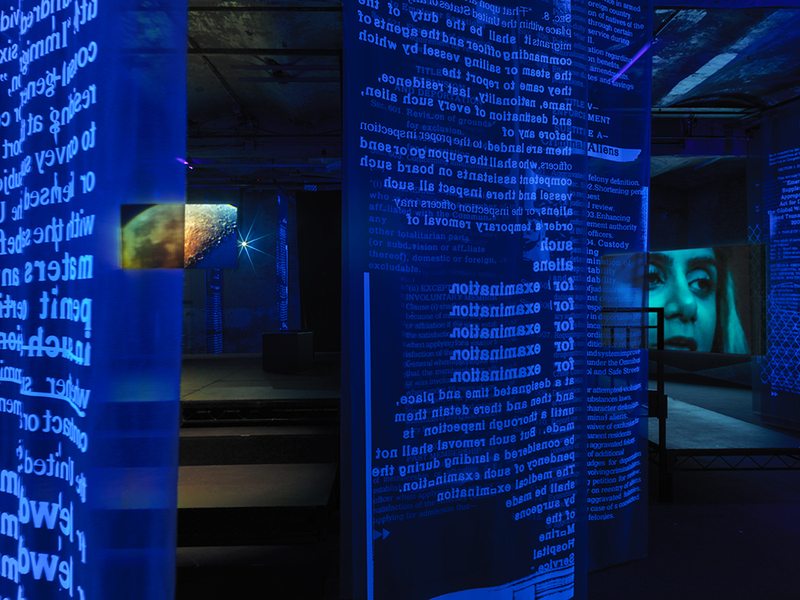 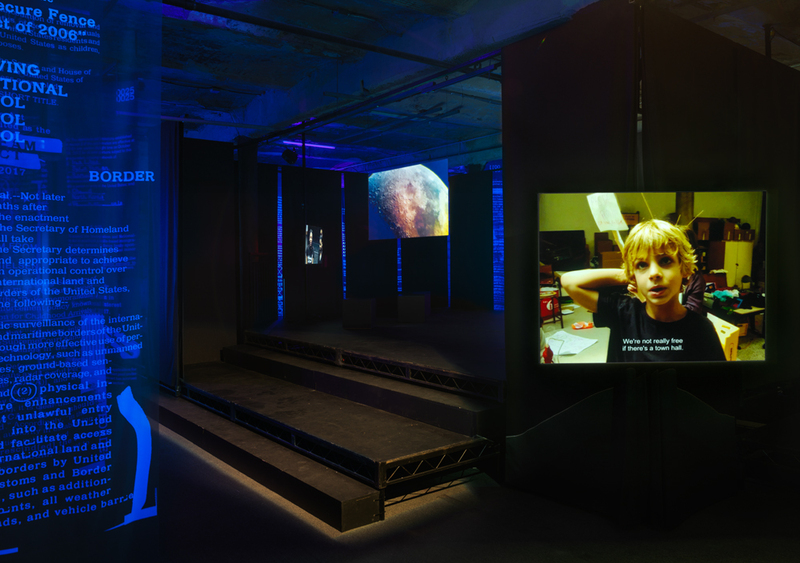 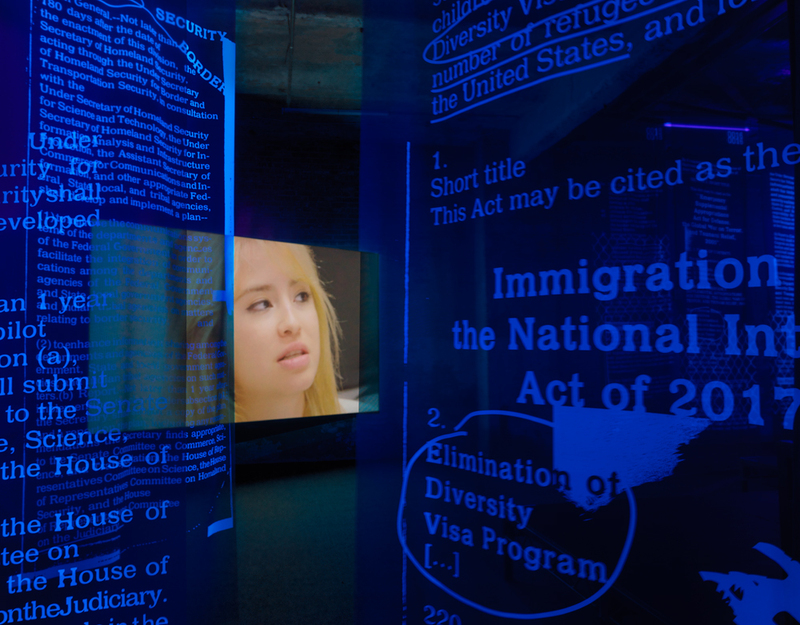 The banners, which are emblazoned with extracts of immigration acts, were first used during the workshops and are now hanging, black-lit, throughout the exhibition space, creating a ghostly, three-dimensional setting that viewers traverse as they approach the film itself. 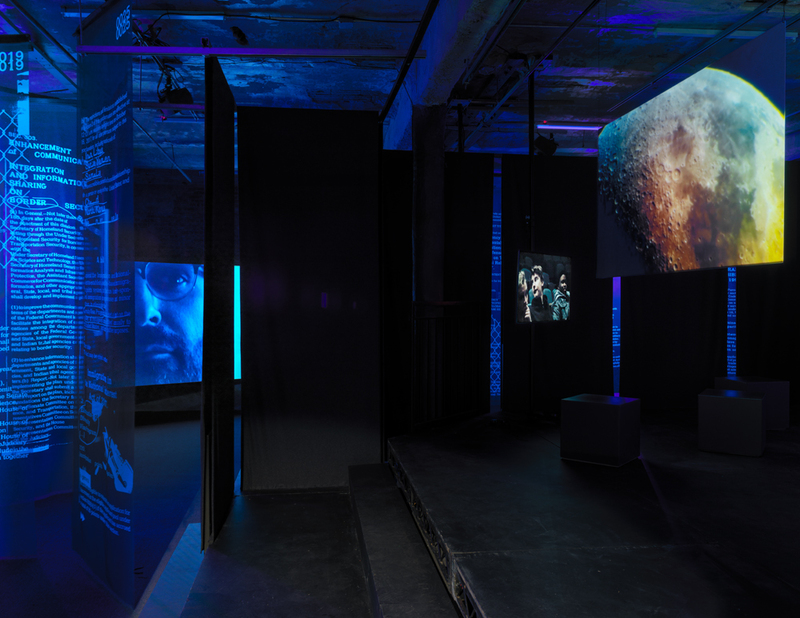 Husni Bey’s show is the second of a series of three commissions by the New Museum in partnership with Kvadrat. 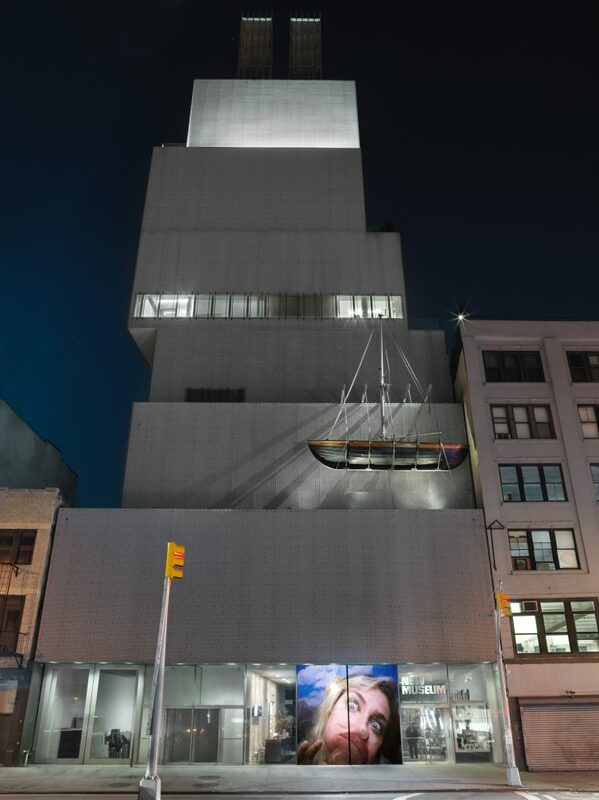 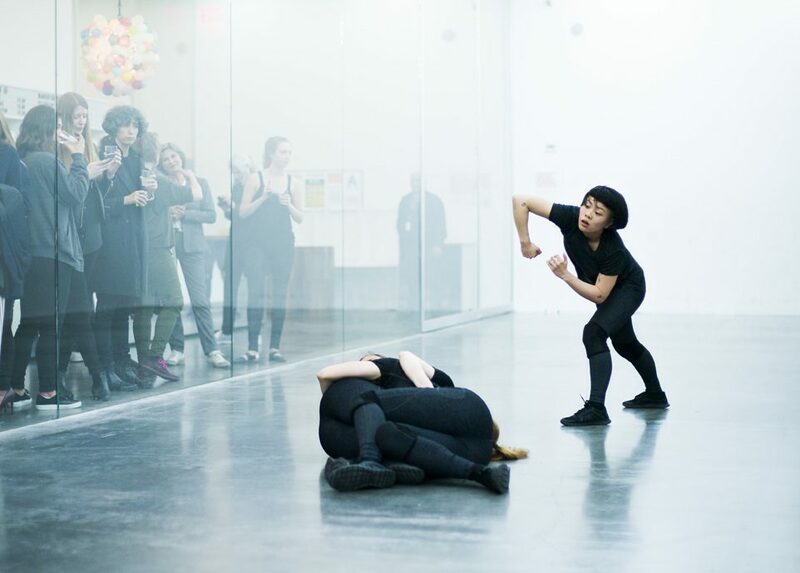 South into North established this partnership in 2017 and is an active partner in developing each project, in close dialogue with New Museum’s Associate Curator Helga Christoffersen.